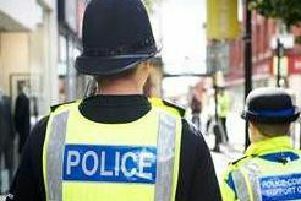 Three people were arrested at an address on Lowergate in Clitheroe on Wednesday evening and a further arrest was made at an address on Bradshaw Street in Nelson this morning, Thursday, June 28. Police say the arrests were part of a pre-planned operation and they were carried out by armed officers. No firearms were discharged. The four people are currently in custody and searches are said to be ongoing at at both addresses. Investigations are continuing but police say that no further details can be released at this stage for operational reasons. Police say they will release further information when they are able. Assistant Chief Constable Terry Woods said: “Officers have arrested four people on suspicion of firearms offences as part of a pre planned operation. Searches are said to be ongoing at at both addresses. “While I appreciate that the presence of armed officers and the nature of the activity may have caused some concern, I would stress that the safety of both the public and our officers was paramount. “I would also like to reassure people that there is no ongoing threat to the wider community. Residents in Clitheroe reported a large police presence around the town last night with several roads blocked by armed response officers. Police issued reassurances to members of the public.